Summer is here and that means perfectly delicious summer fruits. In Georgia that definitely means fresh, tasty, juicy peaches. I was so excited to get some at the Chattanooga Farmer's Market I went to last weekend and to get to use them in this recipe. I've had my eye out for peaches at the grocery store for awhile now, but the farm fresh peaches beat anything I've found at the grocery store! These peaches are perfect right now - run down your arm to your elbow juicy. I love them, and could eat them every day. I will definitely have to hit the Farmer's Market up again soon for another basket full. Yumm! Perfectly tender, ripe peaches result in perfectly tender baked muffins! I only have good things to say about this recipe. I was thrilled with how they came out. Lightly sweet with a touch of cinnamon, very tender, but they hold together pretty well, and the peaches result in a base of gooey-fruity perfection along the bottom. This is a wonderful muffin recipe and I will absolutely use it again. 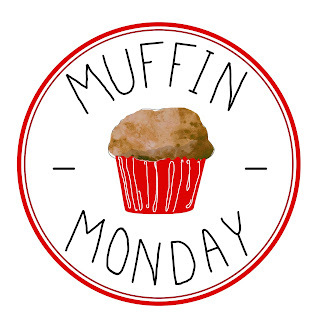 Lightly spray a 12-cup muffin tin with non-stick spray or line with muffin cups. In a separate bowl, blend the buttermilk, egg, oil, and vanilla. Pour wet ingredients over the dry ingredients and mix just to combine. Gently fold in peaches. Do not to over mix. Spoon batter into prepared muffin tin and sprinkle with Turbinado sugar (if desired). Bake for 25-30 minutes, until muffins are golden brown (mine needed the full 30 minutes). Remove from the oven and let cool for about 5-10 minutes before removing to cooling racks. Enjoy warm. Jealous of your Georgia peaches!!! Ours are still hard as rocks! Now I'm going to have to check where my peaches came from because they actually smelled and tasted like peaches. Peach cobbler muffins are genius, Rebekah! I had no idea peaches ripened so early, but while in Georgia yesterday I snapped a photo of the ripening times of all the varieties at Lane's Southern Orchards. There's a surprising amount ready by Memorial day! Peach season isn't for another month or two here in Michigan but as soon as they ripen they are going into this muffin recipe.